User Experience, also known as UX, is a way to design websites. When websites are designed with user experience in mind, that means the website should be easy to navigate and use. It’s more of a concept than a concrete design. UX is made up of different parts, such as: usability, human-computer interaction, and more. Here we’ll explain how UX design helps websites grow. 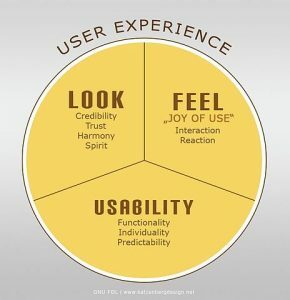 The goal of UX design, according to Oxford Journal Interacting With Computers is to, “improve customer satisfaction and loyalty through the utility, ease of use, and pleasure provided in the interaction with a product”. This means that designers created User Experience design in order to make websites easy to use, and user-friendly. But how is a user’s experience navigating a website measured? Specific designers, called UX designers, study how people interact with websites. They evaluate the website’s ease-of-use, efficiency, and how users feel while interacting with it. Designing for user experience is a relatively new way of creating websites. Back when the public first started using the Internet, too much information cluttered websites. Back then, nobody thought about user/website interaction. But now, since billions of people use the Internet every day, websites have started becoming more user-friendly. Now, people won’t use websites if they aren’t user-friendly. 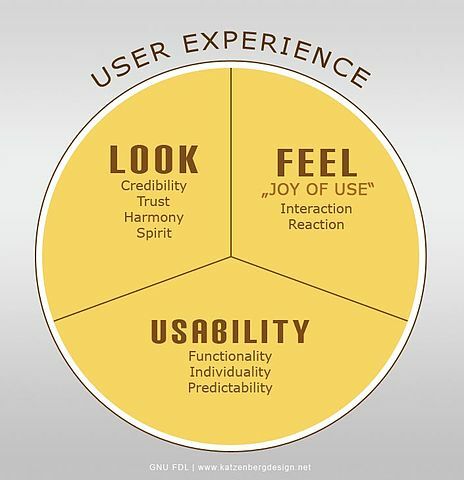 Therefore, UX design is much more important for the success of the website. Besides just being user-friendly, User Experience design tries to take into account the way people feel while using a website. Are they happy? Satisfied? Confused? and designers address those feelings. Overall, User Experience design is being used much more today than it was just 10 years ago. And when you design for UX, you’re not only helping users navigate your site, but you are help your site grow as well.